You see that little puff of foam off a little to the north of west there, along by that pool? That is the spray above Niagra Falls. That tiny silver thread further to the west is the Mississippi River, and if I had a telescope here I would show you the jetties. That clump of trees clear over on the other side of the continent is the Yellowstone Park, and if you look hard the south, you will discover a little cluster of houses. That is Rio Janeiro, in Brazil. Over to the east you can catch sight of Queenstown, and of the little villages along the bay of Biscay, and even of the steeples of London and Paris – if your eyesight is clear enough. Remarkable, isn’t it. All for 10 cents, too. 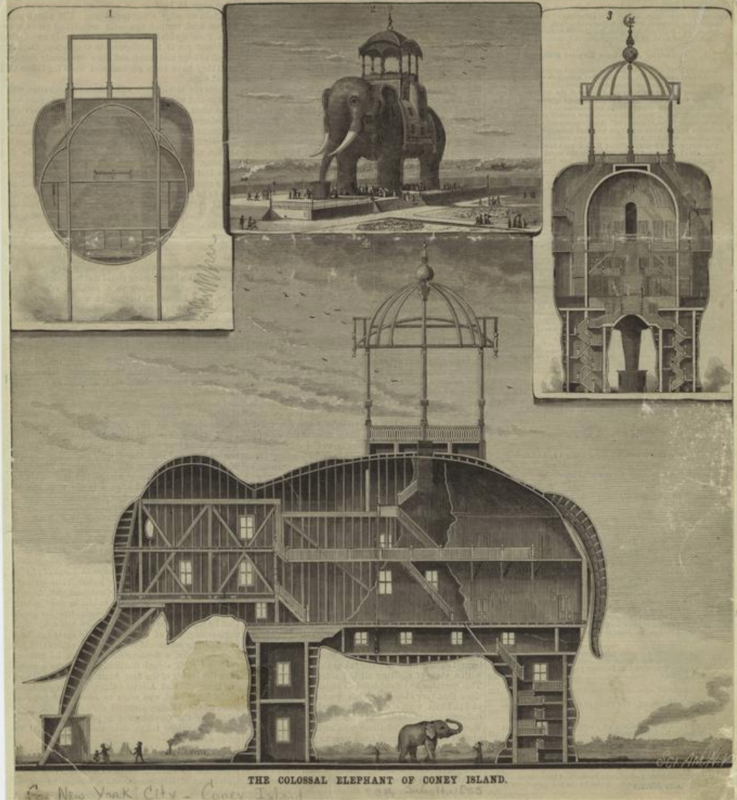 And that’s not all you could see from the elephant, or get for 10 cents at Coney Island. 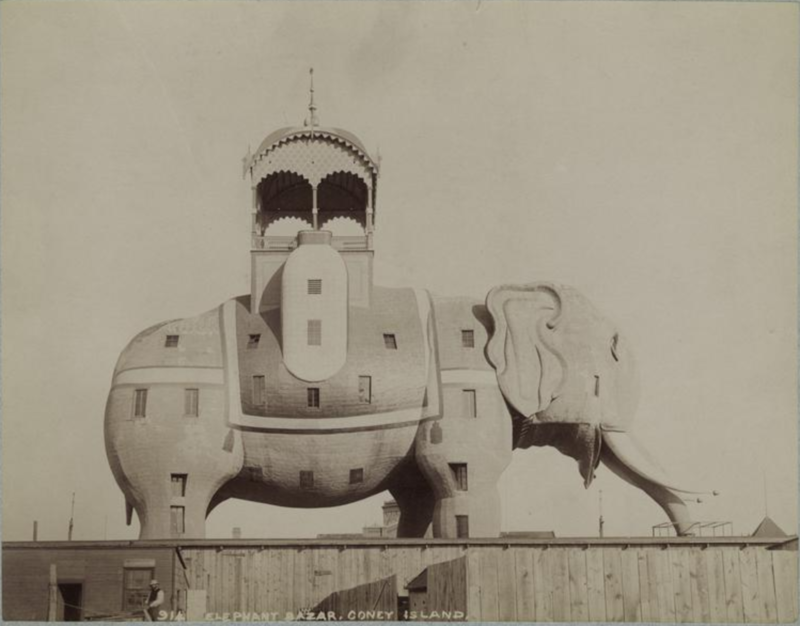 In fact, “seeing the elephant” became local slang for picking up a prostitute, and the elephant hotel was widely considered a brothel. If such hot times contributed to the elephant hotel’s decline, it was a fire that did it in for good. The hotel was destroyed in a blaze in 1896. The conflagration of the Elephantine Colossus was so immense, it was reported the flames could be seen from Sandy Hook.